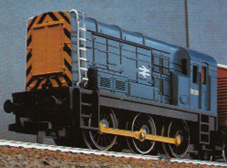 Information: Class 08 diesel shunters were the most numerous diesel-electric locomotive design employed by British Railways. 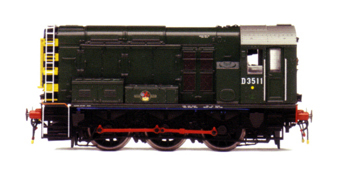 The antiquated outward appearance of the class finds roots in early experimentation with diesel locomotives by the London Midland Scottish Railways (LMS) during the 1930’s. 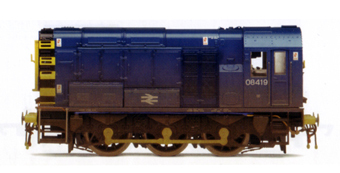 Details: Ironically, some of the earliest experimentations in diesel propulsion on Britain came about because of inefficiencies of steam in goods shunting operations. 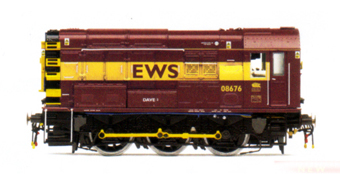 In the 1930’s, when the concept was first put forward and 1960’s freight was handled in individual wagon loads at numerous shunting yards across Britain. 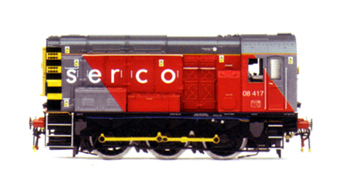 The LMS saw the answer to improved operation and efficiencies through the newly developed German diesel engine design. Between 1939 and 1942 the LMS built 9 examples of what would later be designated by TOPS as the Class 11; the basis for the 08 design. 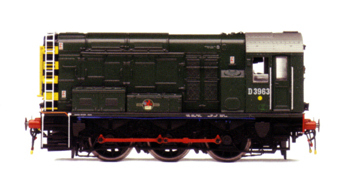 After nationalisation British Railways continued to build the Class 11 locomotives, but experimentation in transmission gear ratios ultimately resulted in the Class 08 being designated a separate Class. 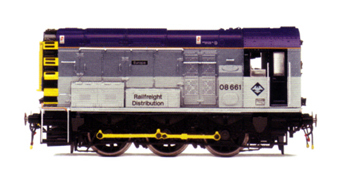 In the heyday of individual wagon shunting a total of 996 Class 08’s were built at Crewe, Derby, Horwch, Doncaster, and Darlington during the years between 1953 and 1962. 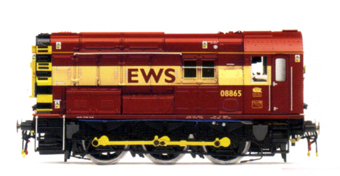 Nick-named “Gronks” the class were often ignored by enthusiasts due to their lowly role. 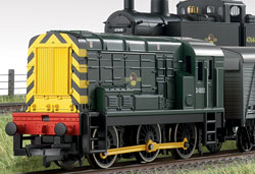 The locomotives were restricted to a top-speed of 20-MPH. 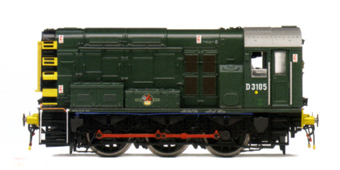 With diminished work due to cut-backs on British Railways during the early 1960’s, the first member of the Class, D3193 was withdrawn in 1967. 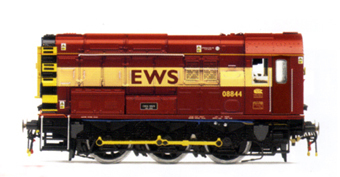 Today the usefulness of the 08 remains limited in the current railway environment, but limited use does indeed remain for which a number of 08’s are still active. 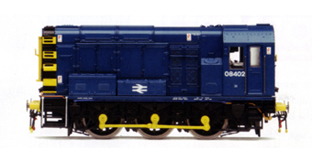 Many withdrawn 08’s are still active across the country having found a new lease of life on preserved Heritage Railways and Private Industrial Railways, where their worth is highly regarded. 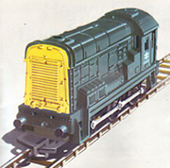 Nearly 70-years after their introduction the diesels have proven their success as the most practical answer for their intended service and no-doubt will remain a testament to their original designers.